Mayfield is an easy escape from the city with direct access via the South Gippsland Highway. Be close to nature and close to town, enter Mayfield through its three hectare natural woodlands reserve, past eucalyptus, English oak and native heathy woodlands and enjoy the views across Casey Fields to the nearby Dandenong Ranges. Already connected to a pre-existing network of schools, shops and community facilities, all you have to do is decide which new home you’d like then start your dream life at Mayfield. Local schools include Cranbourne Primary, Cranbourne Secondary, Cranbourne Grammar and the Chisholm Institute Cranbourne. A new state primary school is also planned for a site adjacent to the Mayfield community. 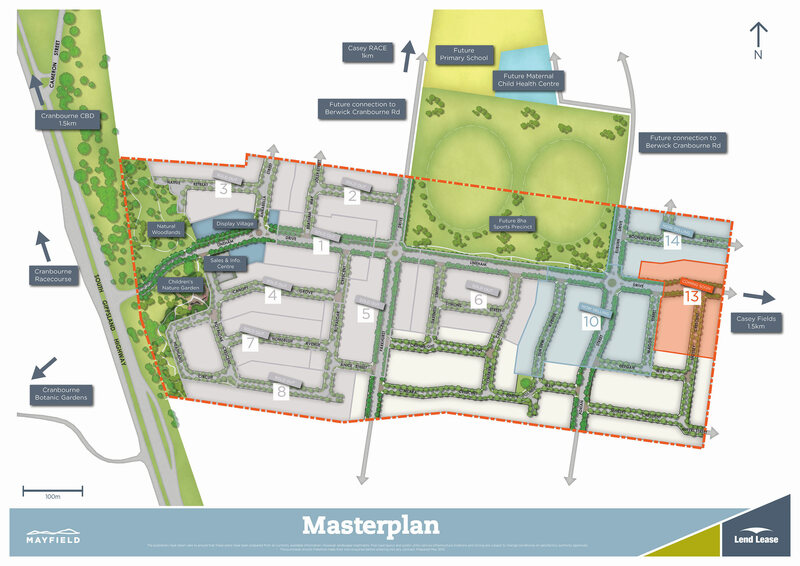 A number of already established community facilities neighbour Mayfield including the Casey Fields Regional Athletics Centre, the Casey RACE Aquatic Centre and the 360 hectare Royal Botanic Gardens Cranbourne. All just a hop, skip and a jump from your new home. Future plans for the Mayfield include an eight hectare sports precinct that will feature two sports ovals and a children’s nature garden with exploratory trails, a sensory walk, sculptural elements and playground. Surrounded by open space and regional recreation centres, with fibre optic broadband and direct highway access, Mayfield will be a healthy and well connected community to live in.